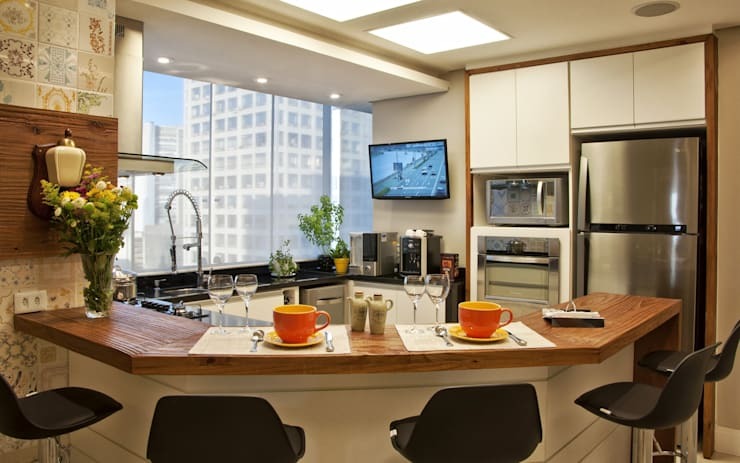 A kitchen is commonly recognized as the heart of a house. It is the place where the whole family sits together and enjoys beautiful moments. As far as the design of a kitchen, the possibilities are almost infinite. Moreover, regarding styles, it can range from rural, rustic, modern, classic, minimalist to unusually extravagant. Therefore, selecting a design is not that easy. 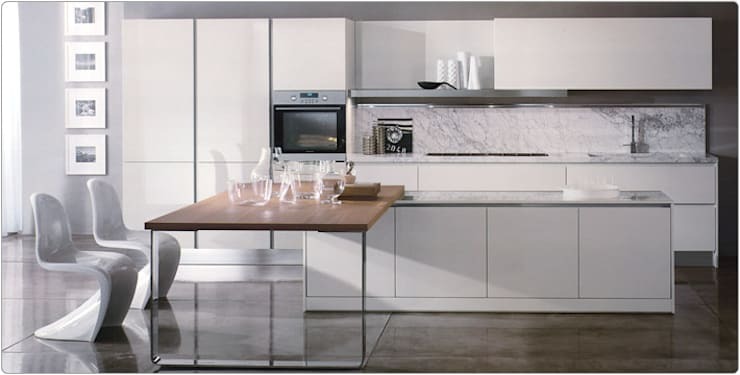 To facilitate your search and showcase designs of custom kitchens, we have collected 19 fantastic models. These will also offer you a lot of inspiration. This beautiful country style kitchen gets an ultra modern touch due to the central kitchen island. 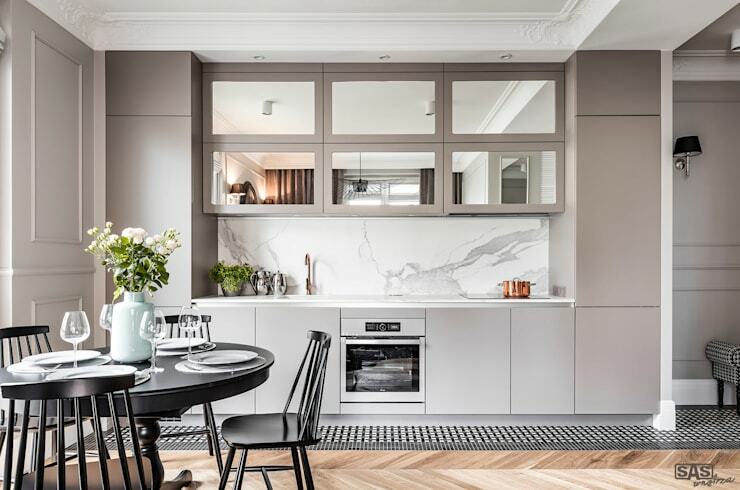 The use of minimalistic style design for this kitchen helps magnify the cooking area. 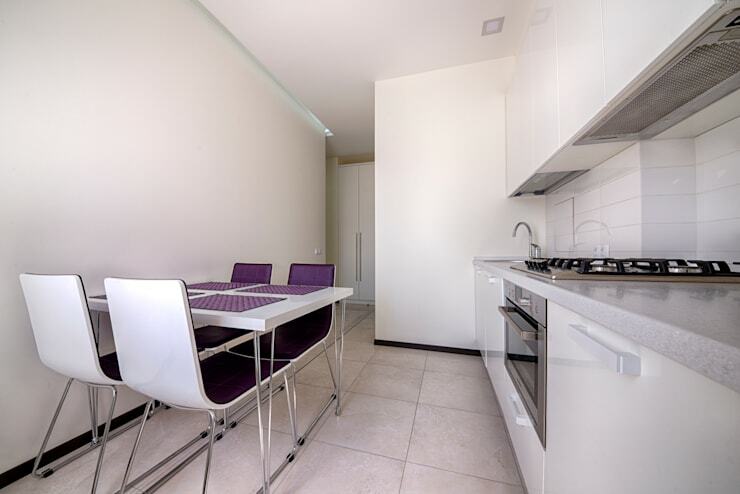 The extended glass dining table in this kitchen provides an unusual design feature which is also functional. 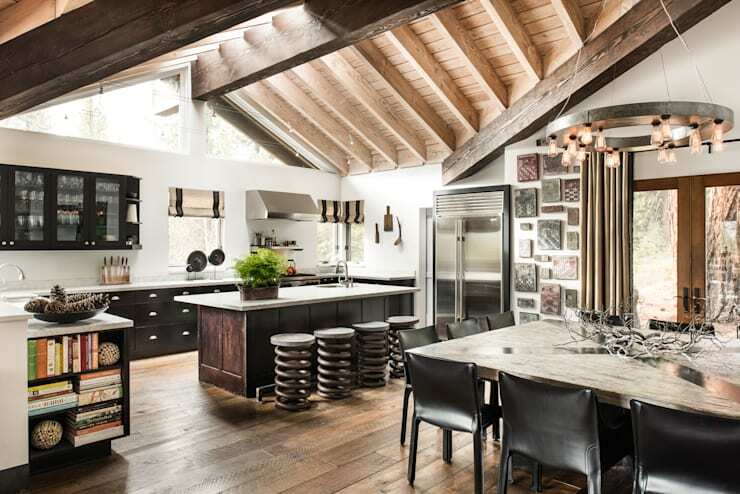 By using natural wood counters and furniture, the designer was able to achieve a rustic look. 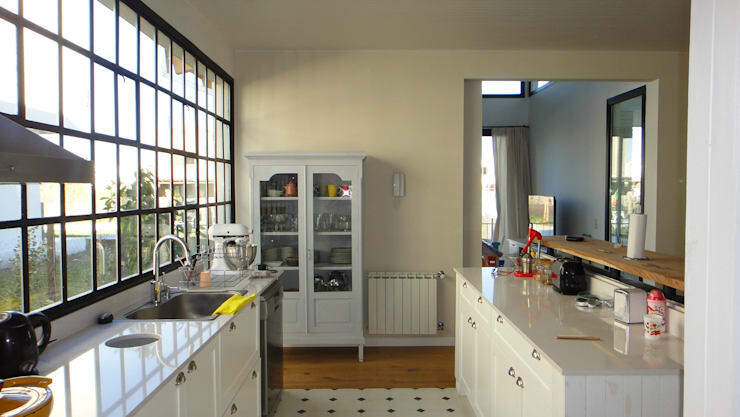 The classic L-shaped kitchen layout has been modernized by the beautiful cabinets and furniture pieces. 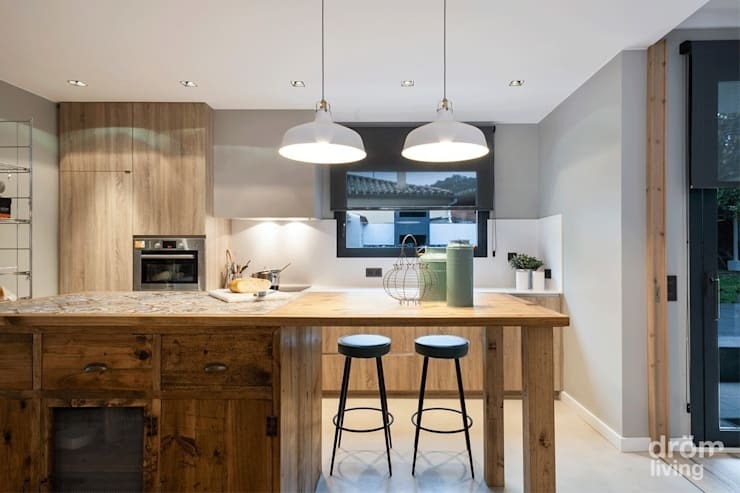 This parallel kitchen gets an extra strong feature in the form of a solid wood dining table. By incorporating enough light into the room, one can uplift the vibe instantly. 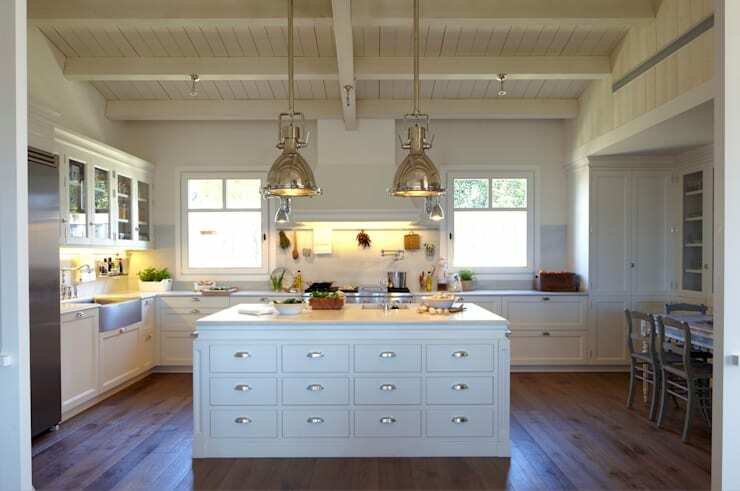 One can create a spacious kitchen by using the space generously like seen in the picture. 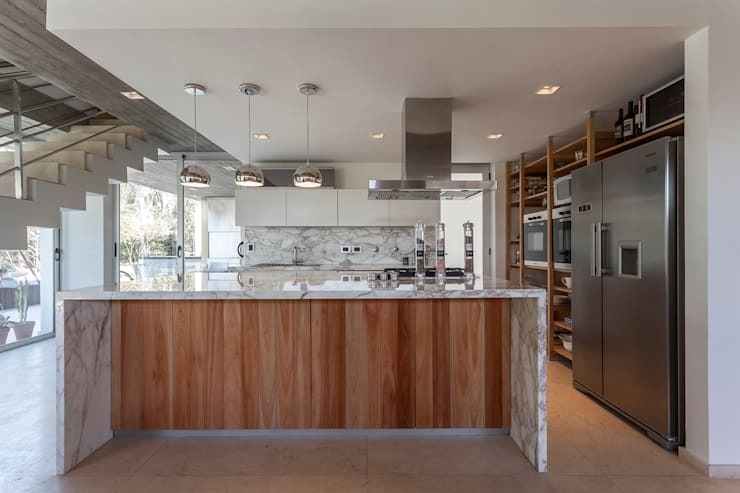 One can also combine wood and marble to create beautiful counters which are stylish and durable at the same time. Rounded kitchen counter like this can give your room a unique appearance. 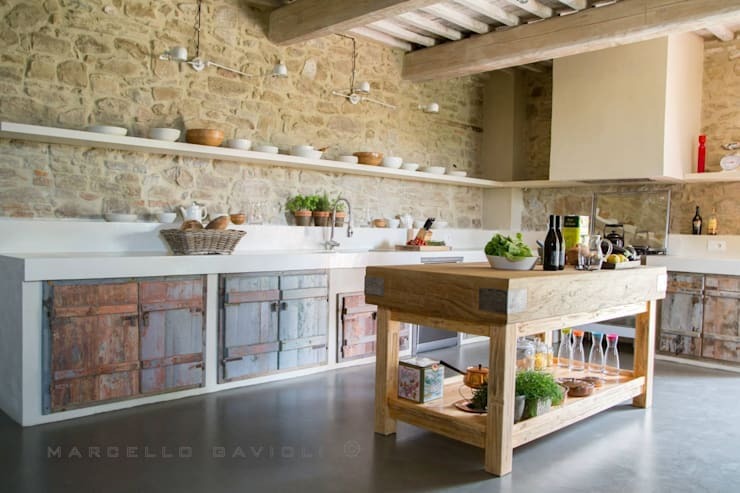 One can easily create a similar dynamic structure by using stainless steel tables and hanging storage hooks. 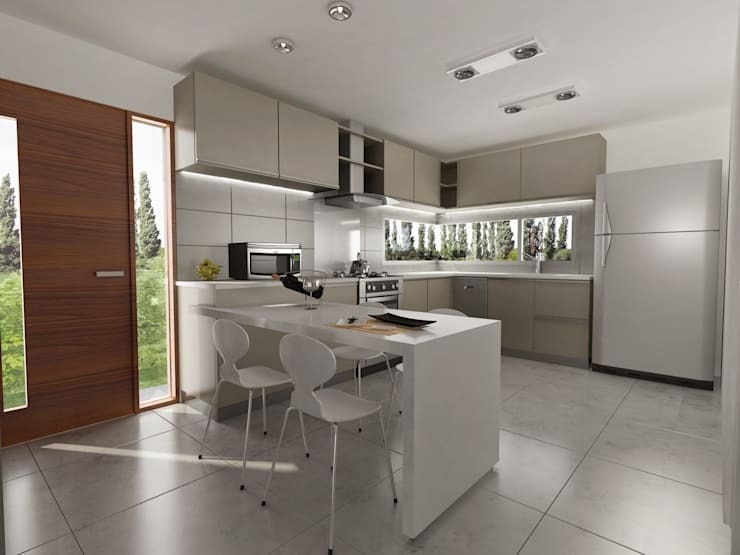 An entirely white interior within your kitchen will give you a classic elegance which is also easy to maintain. 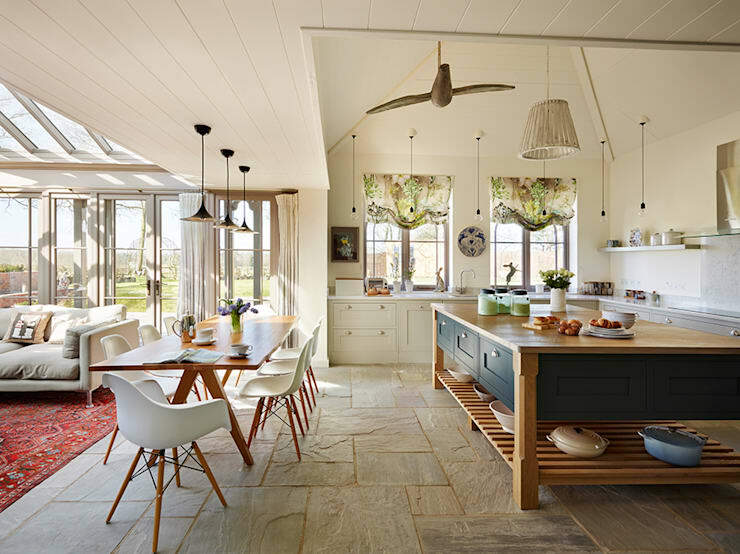 Such wall to wall windows within the kitchen provide enough natural light, making the room look brighter. 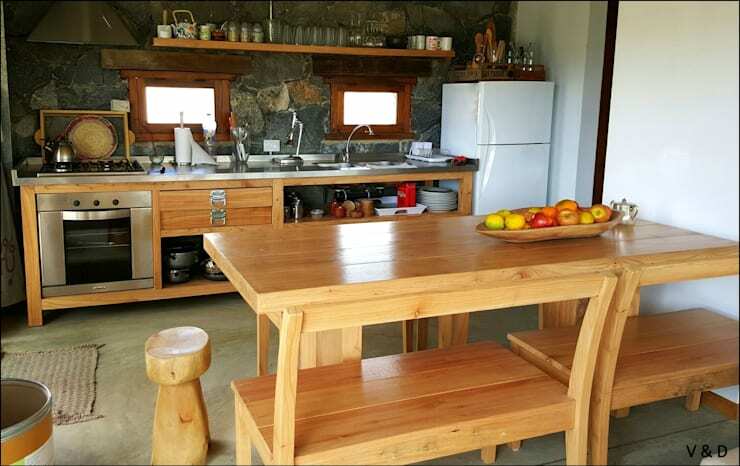 This kitchen with its stone walls and wooden fixtures is the perfect example of a rustic design. Black and white is a beautiful combination which is also timeless. 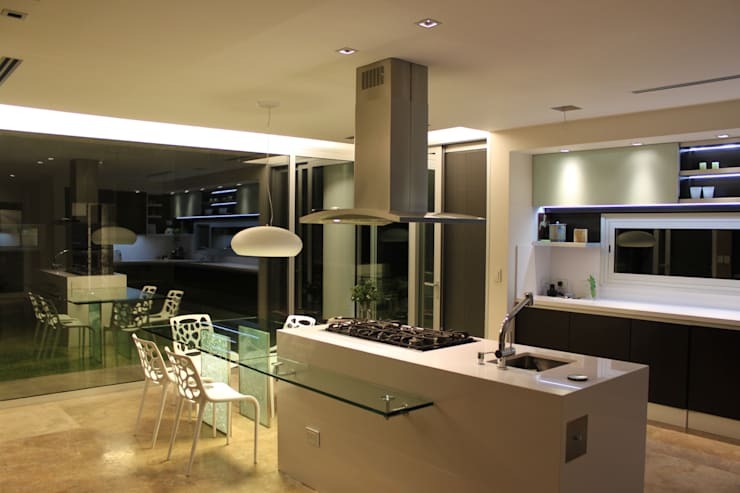 Such harmonious kitchen designs, make the space look more welcoming. 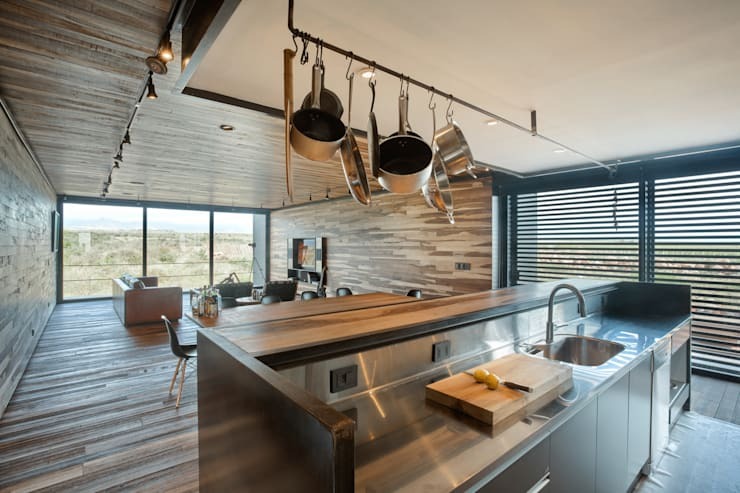 A unique kitchen can also be developed by combining different themes like industrial and artistic for example. 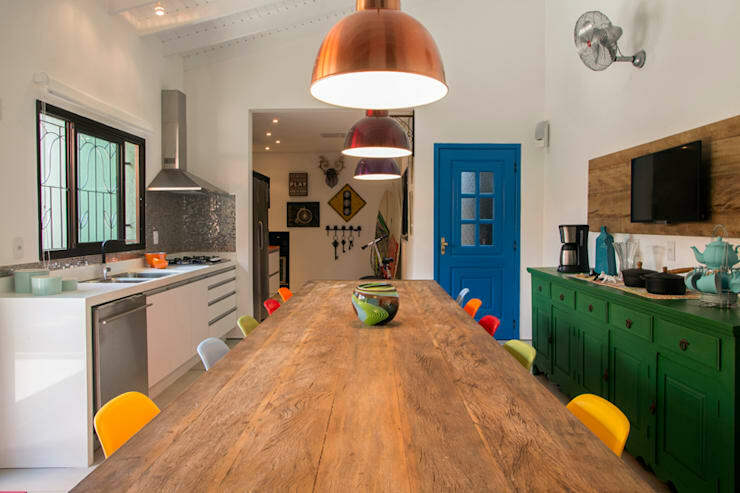 The use of bold and dark colours has given this kitchen a strong character. 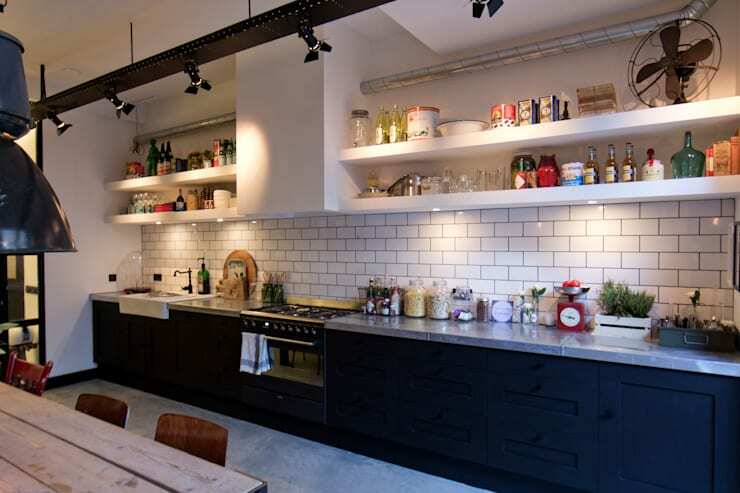 A narrow kitchen like this one can give you enough space to walk around and also make it look intimate. 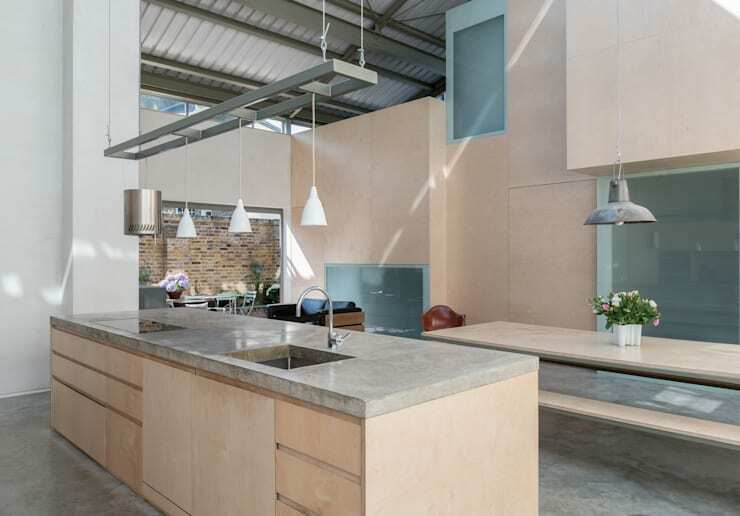 Which one of these kitchens inspired you the most?